Today, why electricity? The University of Houston's College of Engineering presents this series about the machines that make our civilization run, and the people whose ingenuity created them. When we think of energy in the home, we immediately think of electricity. Just the flick of a switch powers everything from TVs to toaster ovens. But why electricity? Are there alternatives for transmitting power? 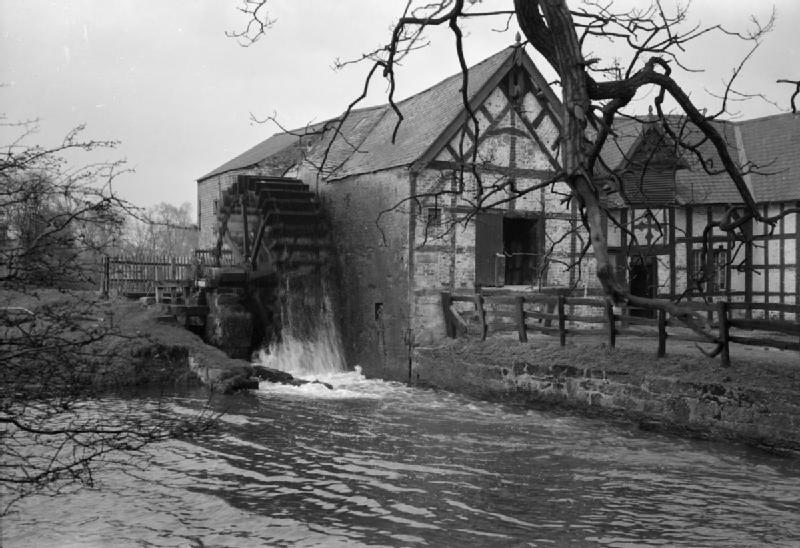 It really wasn't until the late eighteen-hundreds that the idea of power transmission systems took off -- systems whereby energy was harnessed at a central location then distributed to homes and businesses. Until then, if you needed power, you relied on your own -- frequently from wind or a flowing stream. So even as electricity was making its way onto the scene, efforts to transmit power using air and water were underway. How? When you blow into a balloon, it contains energy in the form of compressed air. When released, the escaping air provides a source of power. Steam engines were ideal for what amounted to blowing up balloons. In 1878 two Austrian engineers started an air power revolution with a demonstration of air powered clocks. The clocks were driven from a single source of compressed air. This had one distinct advantage: the clocks remained synchronized. Parisians were enamored with the technology, and the inventors received permission to run compressed air pipes through the city sewers. Over the next three years sixteen miles of main pipe were laid. The main pipe was an inch in diameter. Smaller and smaller pipes branched off into buildings, with the pipe diameter a mere 1/8 of an inch upon reaching the clocks. Every minute clocks throughout Paris would tick in unison, impelled forward on a single puff of air. The system proved so successful that it was expanded to provide power for small home appliances like sewing machines. The compressed air was metered for billing just as we meter electricity today. By the turn of the century, the main pipes in Paris stretched a combined distance of thirty miles beneath the city. And the French weren't alone. Similar pneumatic power systems popped up in England, Germany, and Argentina. Not to be outdone, the residents of London built a power transmission system with over 180 miles of pipe. But the pipe didn't carry compressed air. It carried compressed water. Steam engines at five coal-burning power stations maintained pressure in the hydraulic system, pressure that was in turn used to power lifts, cranes, and even a backup mechanism for raising and lowering the famed Tower Bridge. Of course, we know how the story ends. Electricity proved to be the most economical means of moving energy from here to there. But even today it's not the only means. Many homes have natural gas hookups. The gas is mostly used for heating, but with the help of a generator it can be used to supply electricity. Imagine that. Our TVs and toaster ovens powered by compressed gas. History of Electric Power Transmission. From the Wikipedia website: http://en.wikipedia.org/wiki/History_of_electric_power_transmission. Accessed April 14, 2014. 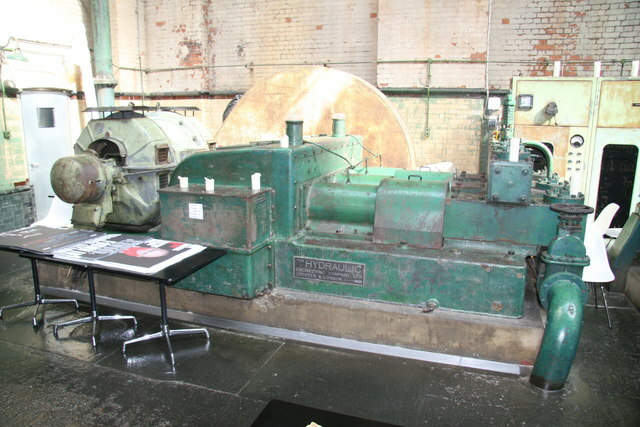 London Hydraulic Power Company. From the Wikipedia website: http://en.wikipedia.org/wiki/London_Hydraulic_Power_Company. Accessed April 14, 2014. Pneumatic Clocks: Extended Use of Them in Paris and Their Introduction into England. New York Times, August 14, 1881. From the New York Times website: http://query.nytimes.com/mem/archive-free/pdf?res=F1061EFB3C541B7A93C6A81783D85F458884F9. Accessed April 14, 2014. Pneumatic Power (Transmission of). Chamber's Encyclopaedia: A Dictionary of Universal Knowledge. London and Edinburgh: William and Robert Chambers, Limited. 1896. From the website: http://books.google.com/books?id=4pwMAAAAYAAJ&pg=PA252#v=onepage&q&f=false. Accessed April 14, 2014. "Time Keeping in Paris." Popular Science Monthly, Vol. 20, January 20, 1882. 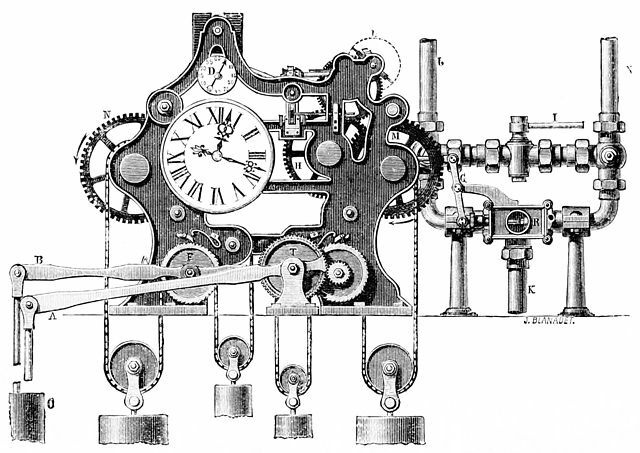 See also http://en.wikisource.org/wiki/Popular_Science_Monthly/Volume_20/January_1882/Time-Keeping_in_Paris. Accessed April 14, 2014. This episode first aired on April 17, 2014.